Are you looking for a way for your company to talk to 600,000 students throughout Australia and New Zealand? 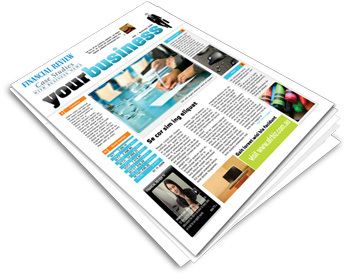 If you would like more information about how your business can participate in Australian and New Zealand Case Studies with Business News, please click Here For Businesses. This project is a print and online resource of corporate, industry and Government case studies developed specifically to help students better understand Australian and New Zealand business by using real examples to illustrate parts of the Business Studies/Business Management/Commerce curriculum. Now in its seventh year, this premium-quality, highly valued educational pack is supplied annually free of charge to over 4,200 secondary schools, colleges and universities throughout Australia and New Zealand. Here are some answers to Questions that are Frequently Asked. Australian Business Case Studies Pty Ltd publishes and distributes The Australian Financial Review Case Studies with Business News, an invaluable educational tool designed to meet the needs of Business Studies and Commerce students and aligned to key curriculum topics. The case studies provide students and teachers with opportunities to appreciate and analyse real challenges faced by people in business and illustrate how business theory is put into practice in real-life situations. A free copy is posted out yearly to every school, TAFE and university in Australia and New Zealand – addressed to The Head of Business Studies/Humanities – make sure you keep an eye out for it! You can now order unlimited extra copies for you and your students, priced at $39.95 each or $350 for a pack of 10. Click here to order your copies, or call us on 1800 249 727 from Australia and 0800 990 999 from New Zealand. Our websites have been updated with a fresh new look and improved useability and search functions – it’s now easier than ever to find the information you need. Case studies from the latest edition can also be accessed online free-of-charge, while the subscription system allows you access to over 80 additional case studies, learning activities and teaching hints & strategies. Available as single user subscriptions priced at $69.95 or school multi user subscription at $149.95, the subscription allows you and your students access to the latest information on Australia and New Zealand’s leading businesses and organisations. You are permitted (and encouraged!) to print, download and/or copy any part of this website and downloads for educational purposes only. Permission is also given for schools to link directly to the site and to have links on their internal networks. For teachers, we provide learning activities, including questions and extension activities for use with each case study, developed by our writing team. You'll find both individual and group activities, along with comprehension questions and research projects. We also provide teaching hints & strategies, links to other useful educational resources and news updates throughout the year on currently featured companies. For students, there is a wealth of useful information. This includes the case studies themselves, learning activities, news on featured businesses, background information on the companies who are participating, and a glossary of business terms.